The origin of Ambiable Gloves goes back to when the mill was open in Eugene, Oregon. Every mill worker relied on a pair of leather work gloves to provide the necessary hand protection to work safely. At $9-$12 a pair, workers were unhappy when, after their 8-12 hour shifts, they had to throw away their right glove and the left-hand mate hit the heap of an ever-growing pile of discarded gloves. The piles of mate-less unusable gloves gave rise to the development of Ambiable Gloves, a glove that can be used by either hand equally well while being able to perform safe and precise handwork. 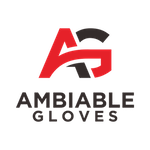 Utilizing an industrial sewing machine and an array of natural synthetic materials, high-end cotton, and synthetic blends, the ambidextrous glove was born. Designed over the next decade, Ambiable Gloves combined both comfort and safety, while providing more hours of durability than any other glove on the market. With a new design for today’s end-user, our gloves offer a premium, stylish, and unique glove design.